Performance and durability designed to fit your lifestyle. 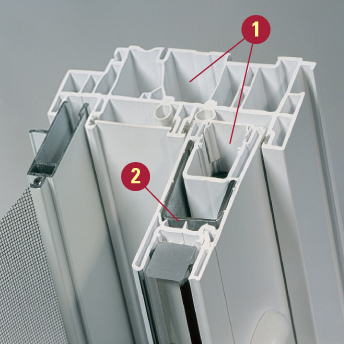 Our not-so-standard PVC patio doors are made with components that are built to stand the test of time. You’ll enjoy a “hassle-free” door system with performance, durability and elegance guaranteed for years of regular use. DoubleNature® patio doors offer the organic and natural warmth of wood without the maintenance. Craftsman patio doors combine natural wood on the interior with the same superior protection of a PVC exterior. All our door styles are watertight, insulated and solid and are ideal for the variable Canadian climate, CSA-A440 compliant and meet EnergyStar® requirements.